We’re committed to helping businesses succeed and we’re on hand to help develop plans for growth. With over 10 years’ experience in digital services and many years of accountancy experience, we can help set up a plan for you to develop your new company and access a wider audience. We can talk you through how digital can help your business such as a new website to boost your online presence and showcase your products/services or a fully-fledged marketing plan to reach your target market and close sales. 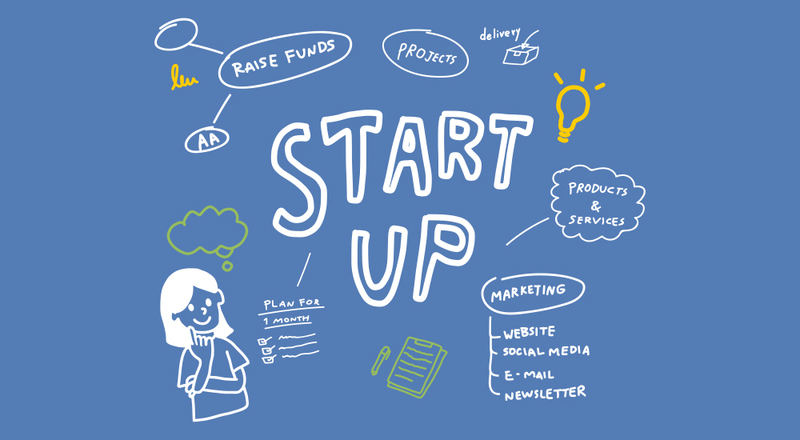 One thing we come across a lot with new businesses is that they don’t have the ideal funds to really get their business going and this is a problem most start-ups and young businesses suffer with, but there are solutions. There are loans, leasing and sometimes grants that are available to you that have helped many of our clients, past and present, develop their companies. For businesses 0-24 months old, one of the options we often recommend is a low-interest government-backed business loan of up to £25,000 so they can invest in a website or a bespoke system that can save them time and a marketing strategy to gain recognition and sales. Having a good online presence is sometimes overlooked when creating a business but it shouldn’t be. It is estimated that in 2019, 1.92 billion people are expected to purchase something online and studies show that between 70-80% of people research a company online before visiting the small business or making a purchase with them. If you’d like to speak to us about pushing your start-up or young business forward then please get in touch using our contact form or give us a call on 01924 280876.